Nancy Pelosi seemed to conduct the State of the Union performance from her perch behind Trump. She showed boredom by reading from oversized sheets of paper while he spoke. And when he blasted political investigations she frowned at the back of his head. She also tamped down outbursts from the Democratic congresswomen. And when it was time to stand up and cheer she inscrutably clapped her hands like a seal. 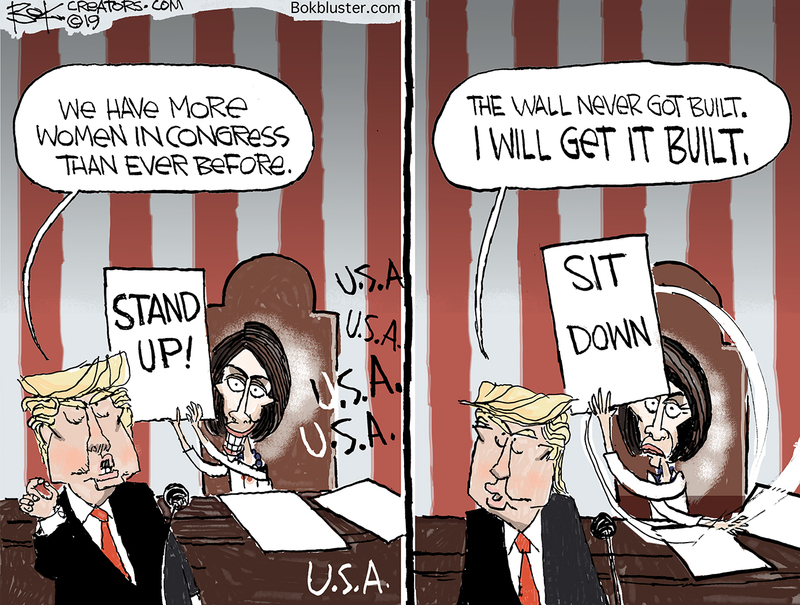 The post Democrat Congresswomen Cheer Trump’s Speech appeared first on Bokbluster.com.